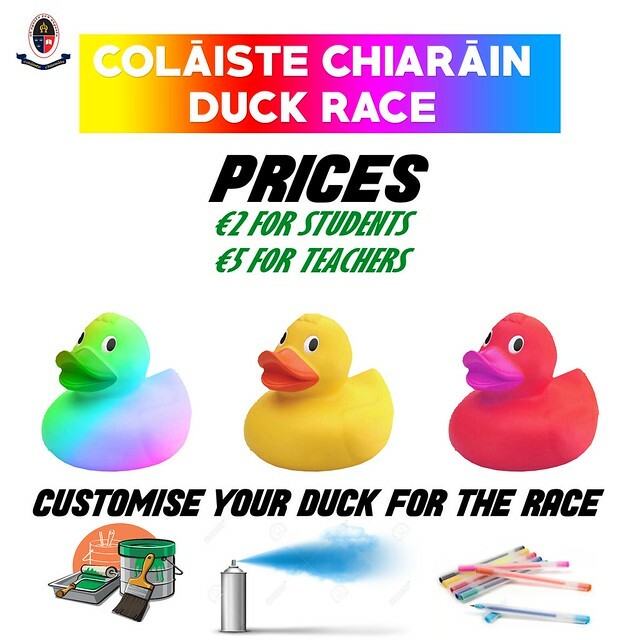 "Colaiste Chiarain will be holding its inaugural Duck Race this year. The provisional date is the 5th of April with more details to follow ! In the mean time if you would like further information you can contact Mr.P McGarry, Ms. J Bourke or Members of the 5th Year Engineering Class. Join in it promises to be great Quack! "